While many were puzzled by an ad for Research in Motion seeking developers familiar with Apple’s rival iOS, we thought we might know what they were up to. Since last year, the company has been making rumblings about software that would help businesses manage not only BlackBerrys but all manner of mobile devices. It has since announced a product called BlackBerry Mobile Fusion and promised support for managing iOS and Android devices later this year. A RIM spokesperson confirmed this is indeed why the company is looking for some employees with iOS experience. The company says it wants to do an app for the iPhone as part of the Fusion product. 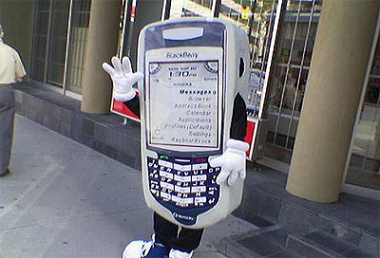 “In order for BlackBerry Mobile Fusion to perform advanced management functions for iOS devices, RIM will develop an on device client to be included as part of the overall solution,” a company spokesperson told AllThingsD. AllThingsD’s Ina Fried contributed to this report.